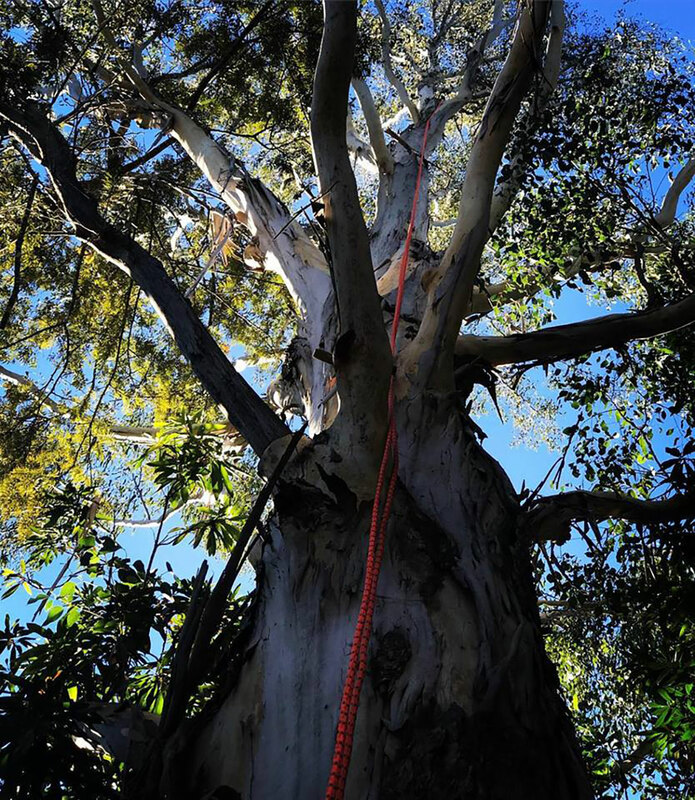 Arborspec has qualified and certified Arborists who can undertake all tree lopping and tree felling services in a sustainable, ethical and asthetical way. 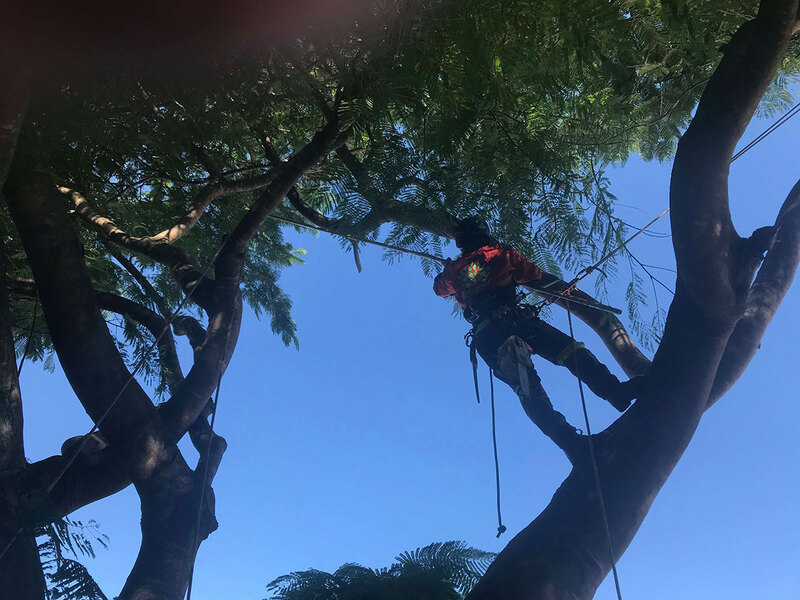 We regularyl undertake tree prunning, tree trimming and full tree removal services throughout the Brisbane area for Councils and various Government bodies. We also specialise in private and residential tree removal and tree trimming services. Specifically where care and and attention to detail is required for the safe and enironmentally friendly removal of trees and branches is required. Tree lopping needs to be undertaken by a professional arborist, while it may seem tempting to get a chainsaw and cut off branches indiscriminately by yourself, it can actually harm your tree in the long run. Once a tree is cut, the wood and branches that grow back afterwards are structurally weaker than their predecessors leaving them prone to breakage and falling. The experienced arborist team at Arborspec are fully trained in how to strip a tree of its excess bulk while minimising the risk of damage thanks to regrowth. Tree lopping and tree pruning isn’t just for making the trees look pretty, in Australia, storm season can be savage and cause large amounts of damage to trees on residential properties. Arborspec is avaiable at short notice for emergency tree surgery and tree trimming. Regular lopping, pruning and trimming of trees to remove old growth can help lower the risk of damage caused by fallen branches knocked loose by a storm. Our climbing arborist team are thoroughly experienced, highly qualified and fully insured to deliver proven vegetation management services. We offer a 100% professional commitment to both project safety and eco-friendly working practices. Here at Arborspec doesn’t just perform domestic jobs, we are fully qualified to complete larger tree removal and tree maintenace projects for civil construction clients. From clearing out an overgrown park for the local council to cutting branches out of the path of power lines for Energex, we are equipped to tackle any task. We are covered with $20 million worth of public liability insurance to ensure that no matter the job everyone is protected.